Once companies began making nut milks for purchase I have never gone back to cow’s milk. The flavor of nut milks is so much better, there is less fat and no one has to suffer for me to have some milk with my cereal, cookies or in my smoothie. 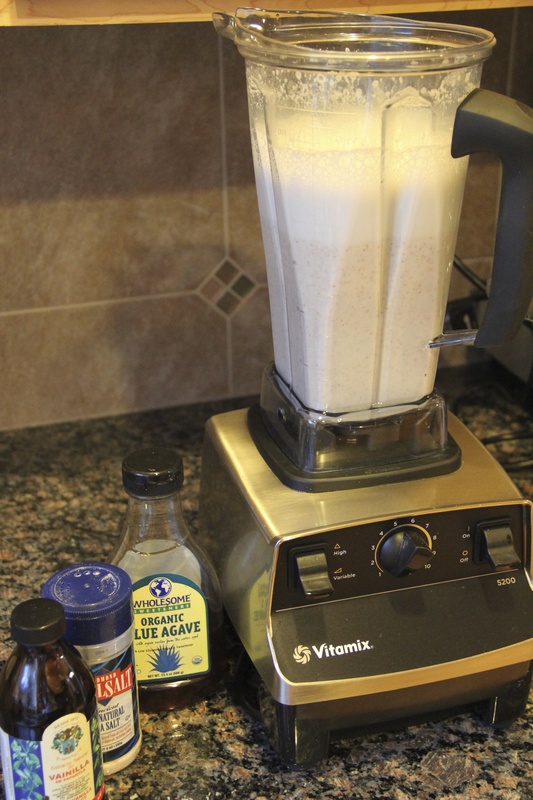 Nut milks are actually very easy to make, so today I will show you how. When you make your own, you save money and forgo the additives and preservatives, so the taste is more pure. It won’t keep as long however, so mix in batches that will last you for 3-4 days. 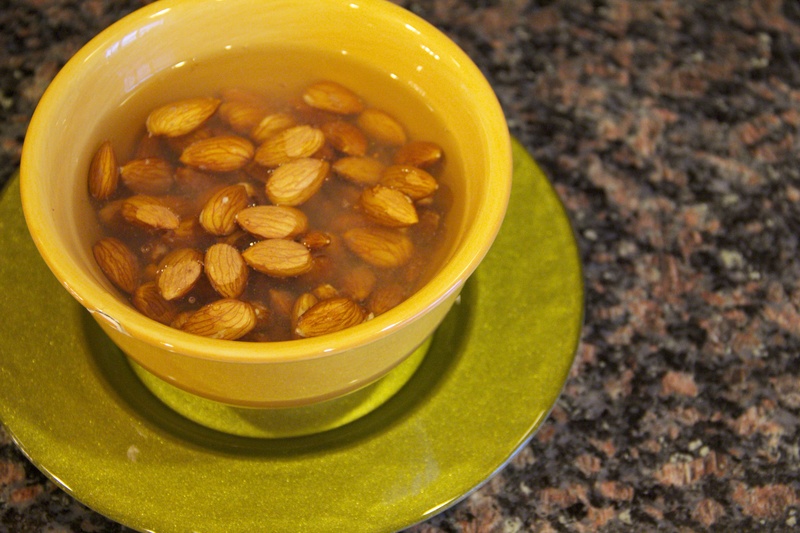 Place nuts in a large jar or bowl. Cover nuts with water and soak overnight for 8-12 hours. Discard soaking water and rinse the nuts. 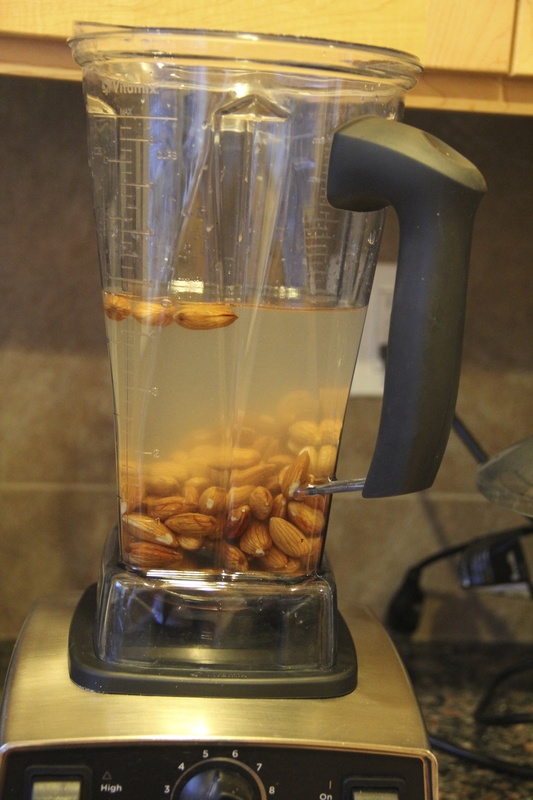 Place the nuts in a high-speed blender along with 4 cups filtered water. Blend at high-speed for about 1 minute. 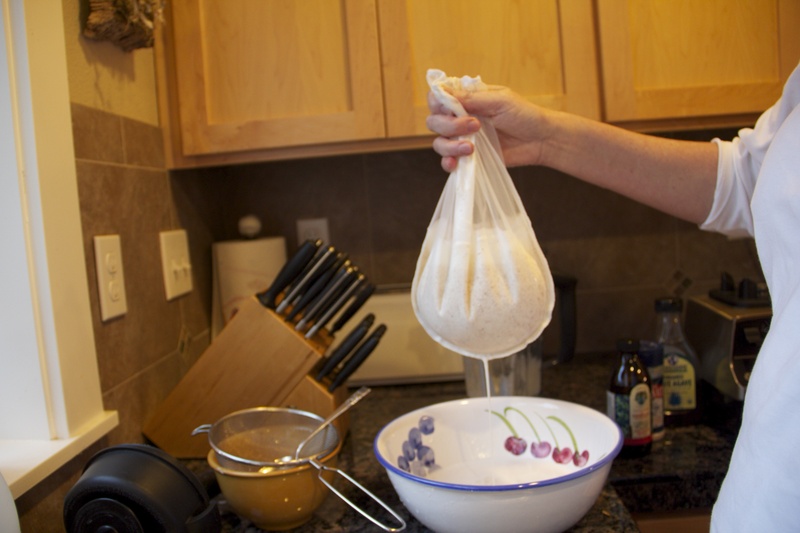 Once liquified, strain through a nut bag or a painters filter bag (which costs about 1/4 to 1/3 the price of a nut bag – available at hardware stores). Return milk to blender and add sweetener, salt and vanilla if desired. 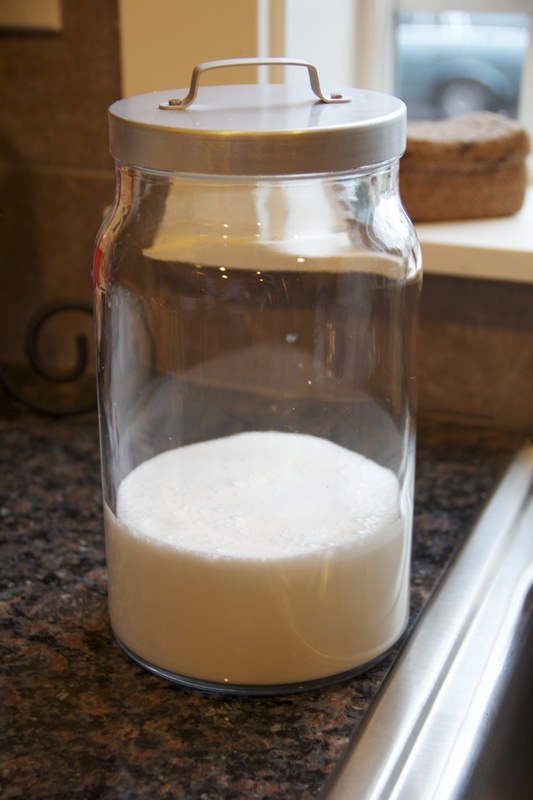 Pour milk into glass jar with a lid. Good refrigerated for 3-4 days. 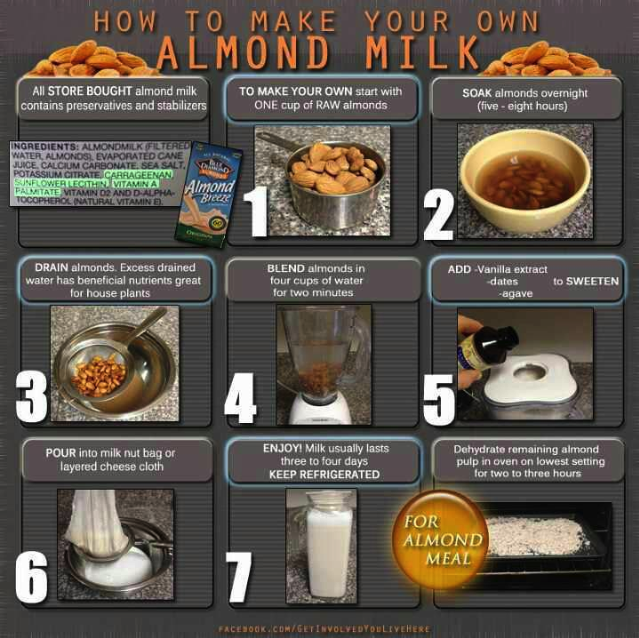 You can make this milk using various different nuts such as Brazil Nuts, Hazelnuts, Pistachios or cashews. You don’t need to sweeten it, but if you prefer a sweet milk, sweeteners such as coconut aminos, agave, maple syrup, or rice syrup can be used. You can flavor your milks with vanilla, coconut, carob, cacao or any spices such as cinnamon, cardamom, etc. To make half n half, use 2 cups of filtered water instead of 4 cups. You can use the left over almond meal in baking. Almond meal can be dehydrated to extend its shelf life. If you ever need a milk, but forgot to think ahead and soak your nuts, you can make Hemp Milk or a Nut Butter Milk using the recipes below. Combine ingredients in a high-speed blender and blend at high-speed for about 30-60 seconds. No straining required. It is ready to drink! You can add 1 TB agave or 1 medjool date (without the pit) for sweetening as above or cinnamon, cacao or cardamom for a unique flavor. Or if you don’t have a high-speed blender, you can make nut milk from nut butters and no soaking is required. 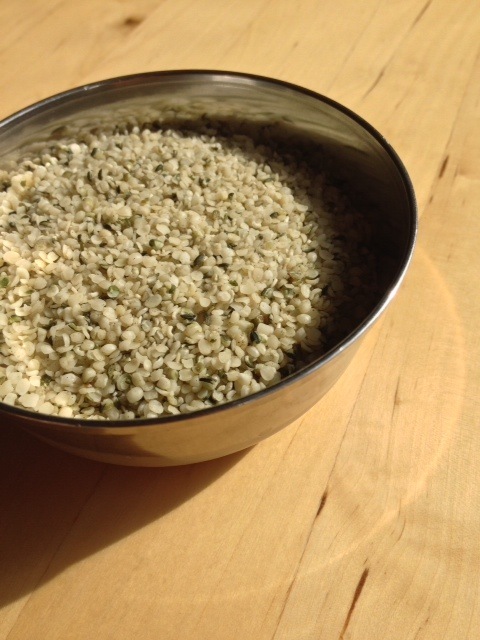 Blend all ingredients on high for a full minute and enjoy. You don’t need to strain the milk, as there is not enough sediment to bother. Plant-based milks are easy, nutritious and tasty. For more information on the health benefits of plant-based milks over cow’s milk, click here.